People abandon a lot of unwanted furniture. Sometimes you can find an amazing classic couch. Other times, you come across a mattress, and you should never take a used mattress, no matter how free it is. But to make one man's trash truly become another man's treasure, Studiomama has undertaken a project called Re-Imagined to make old furniture new again. 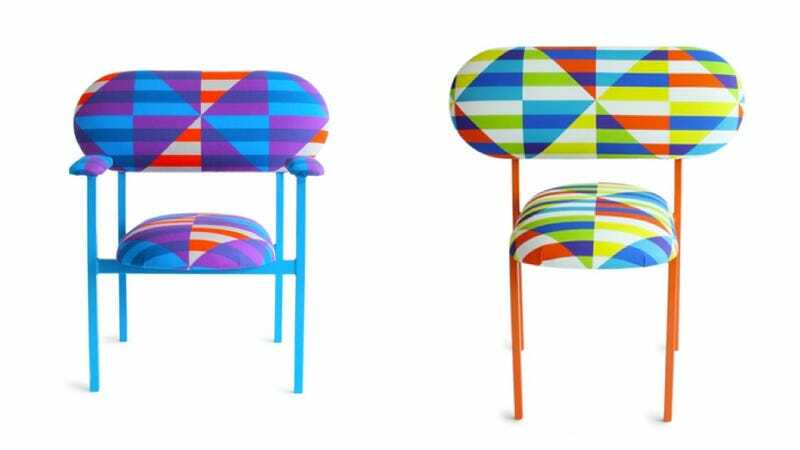 They took a bunch of outdated, unloved chairs and re-styled them to make some really mod, awesomely colorful pieces. In explaining the project, Studiomama talks a lot about a focus on sustainability. But really, that's just how style works—we're always recycling things.